They even say their debt-free journey has brought them closer. A pair of newlyweds from Minnesota shared how they paid off over $160,000 in debt together in less than three years, saying that the personal finance journey they went on together even strengthened their bond as a couple. 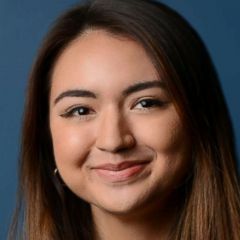 "It all started when I was in grad school, I was finishing up my last year ... and started researching how to pay off debts, student loan debts," Heron Abegaze, 29, told "Good Morning America." 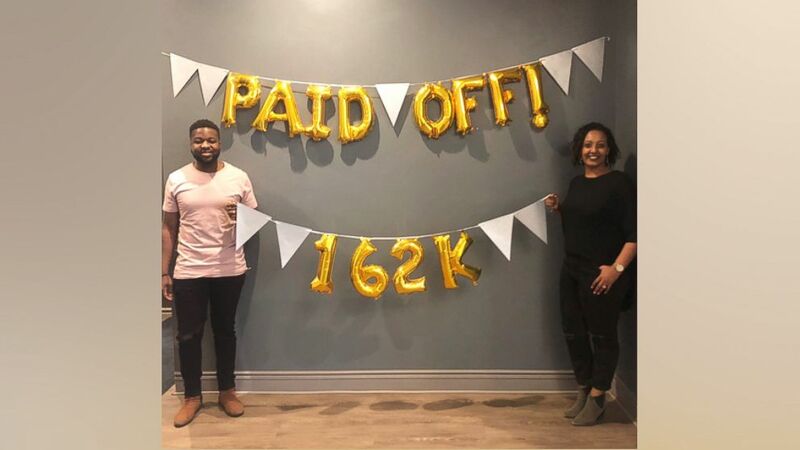 Elijah Bankole, 30, said that while doing research on how to pay off debt, they were inspired by personal finance guru Dave Ramsey's "7 Baby Steps to Financial Peace" method. "The hardest part was starting," Abegaze said. "It was quite overwhelming." Bankole added, however, that once they were able to assess their mounting debt head-on, they were able to create a plan to tackle it. "It's such a big and overwhelming thing to do, to really look at your debt in the face and say, 'Wow,'" Bankole said. "Once you do that, you have to come up with a plan that will work, a plan that works for you." In May of 2015 the couple, whose story was first reported by Refinery 29, began to attack their debt using a process dubbed the "Snowball Method," where they paid off their smallest totals first, and when they were paid off, they applied the money to the next smallest debt, and continued doing this until they had knocked out their total $162,000 debt by March. Somethings just happen for a reason beyond our understanding and everything ends up falling into place as it is meant to be ??. Bankole equated their method of paying off debt to someone trying to lose weight. "The first week of trying to lose weight, if you see 1 pound go down you have a higher chance of continuing to stay on the plan, so for this, when you see the smallest balance ... go away, you do feel encouraged," Bankole said, "and feel a fire in your belly to continue." The couple said they stuck to a tight budget: giving up nights out with friends, clothes shopping and daily coffee purchases. In the midst of paying off their debts, however, the couple said they were also planning their wedding, which included 250 guests. "I did a lot of DIY projects, like creating our own invitations," Abegaze said. The duo said that going through the experience of clearing their debt together ended up strengthening their bond as a couple. "All the different things that help a relationship succeed were needed in our debt-free journey," Bankole said. "Things like communication, transparency, and accountability." Abegaze added that their personal finance journey "brought us a lot closer" and that they were forced to be "creative about planning date nights." "We'd look for interesting activities that were free or ... we'd go on walks, runs, hiking, biking and that would bring us closer," she added. Bankole said that now debt-free, they are excited about what their financial future holds. "For three years, we've been watching the balance go down, and now we're really excited to really have the balance go up, excited about investing," he said. "And being able to give to family and friends that have been part of our lives so far." (Courtesy Elijah Bankole) Elijah Bankole, 30, and Heron Abegaze, 29, shared how they paid off $160,000 in debt in less than three years on "GMA."